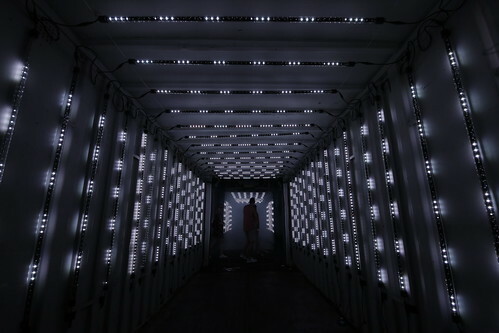 Crossing lines is an inmersive light and sound installation. 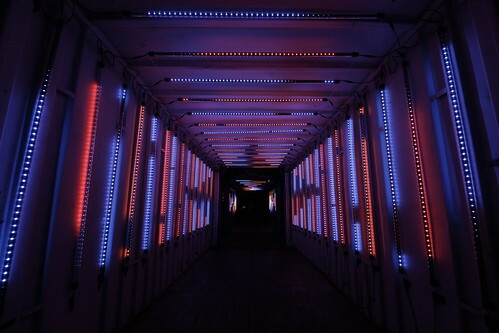 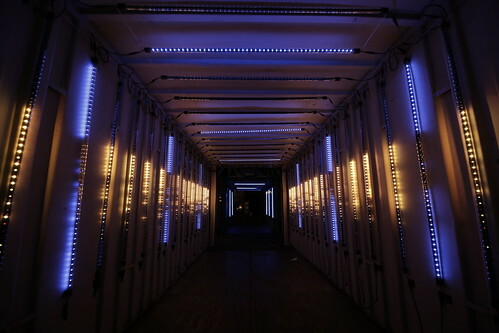 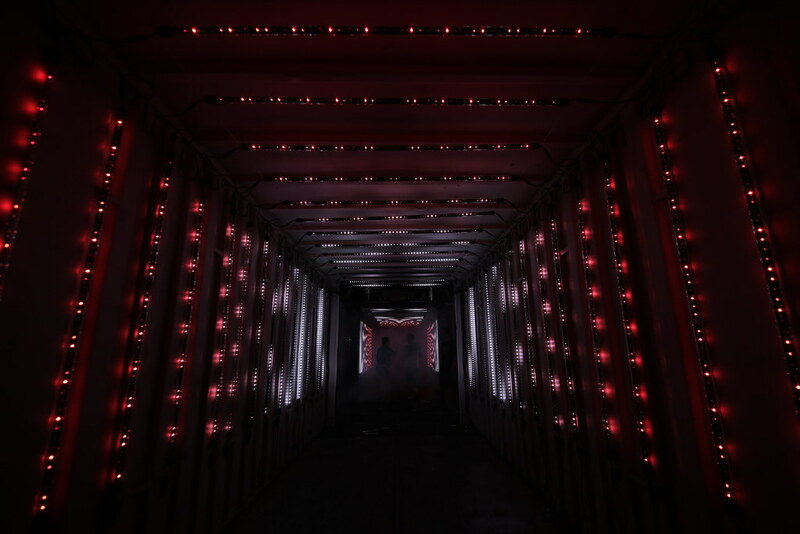 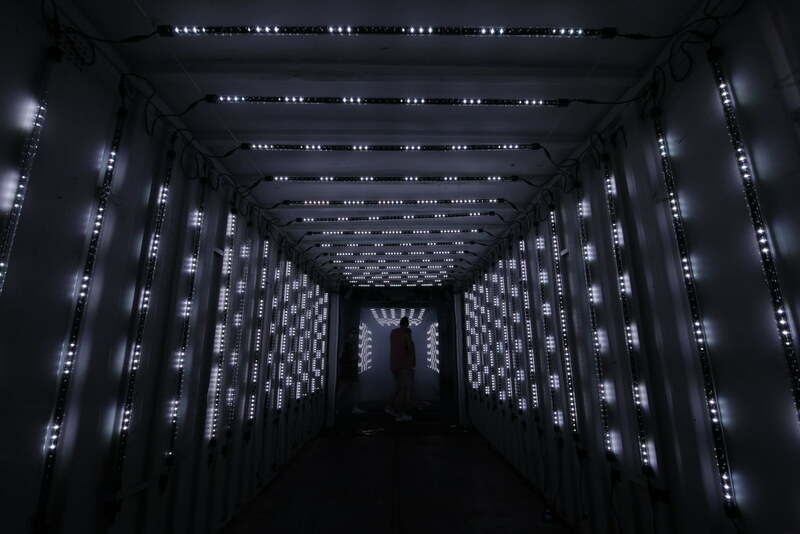 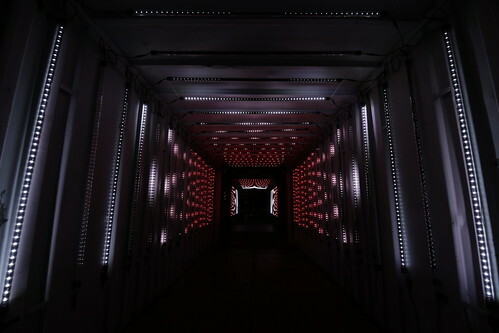 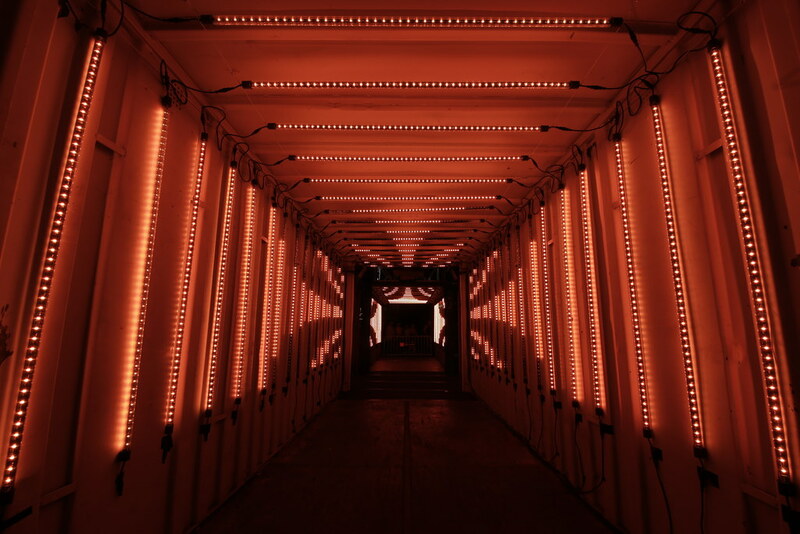 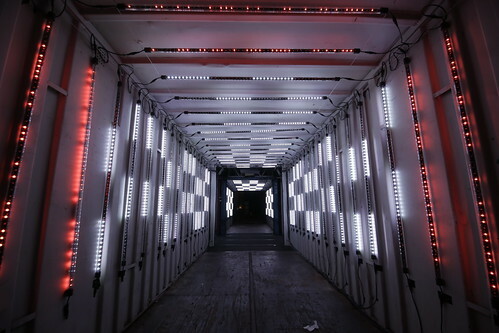 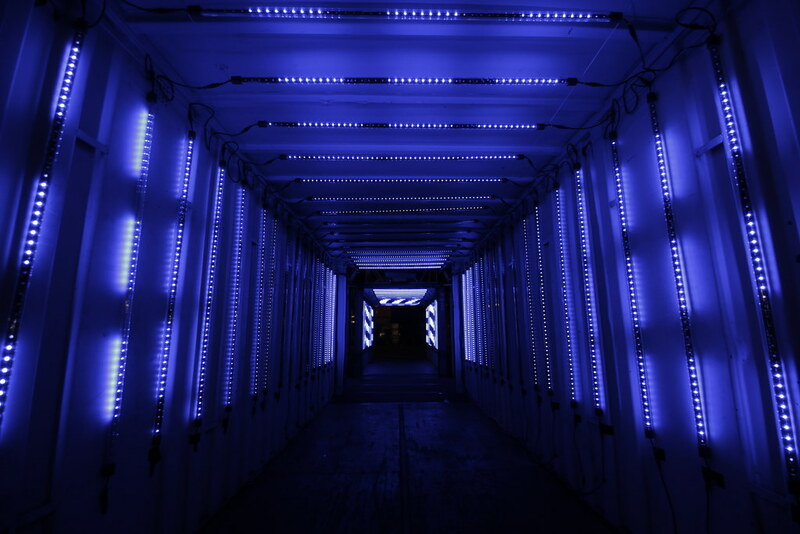 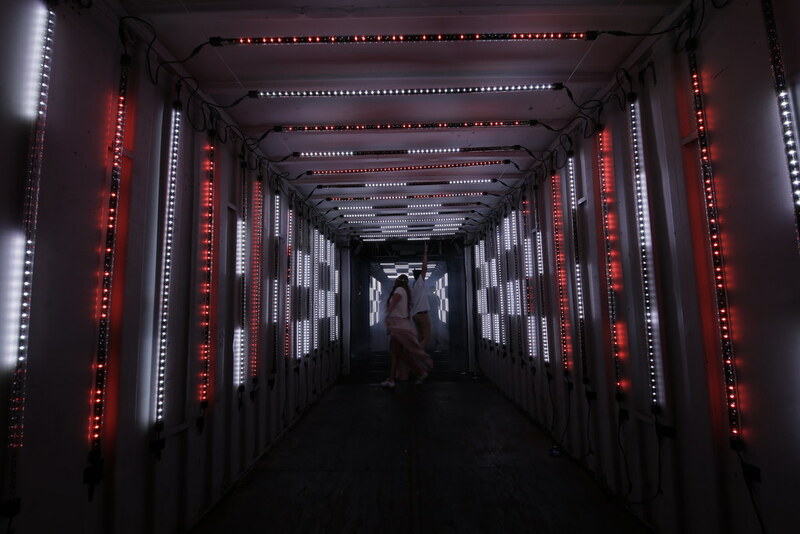 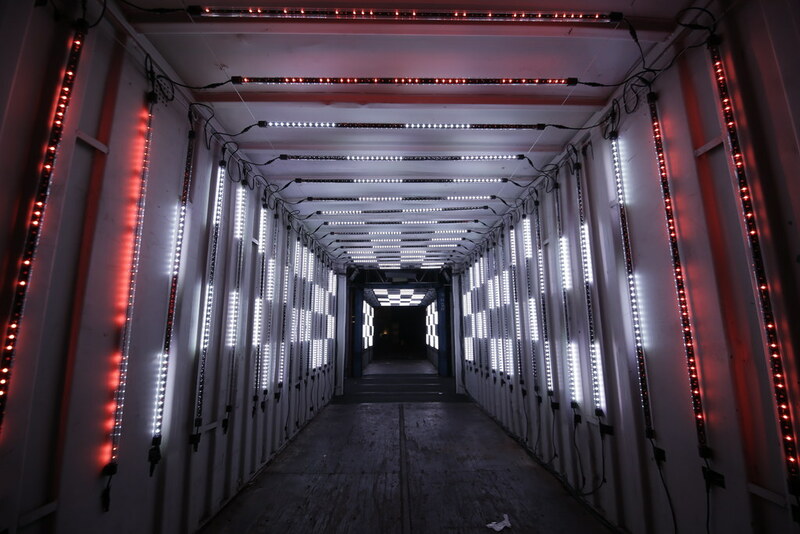 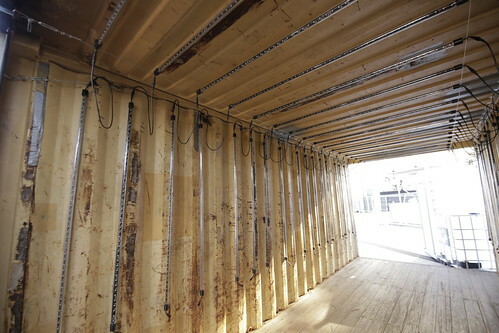 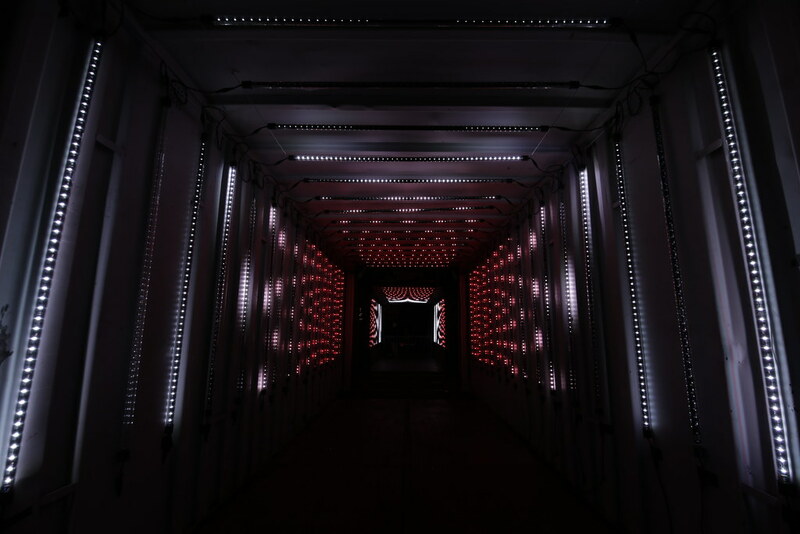 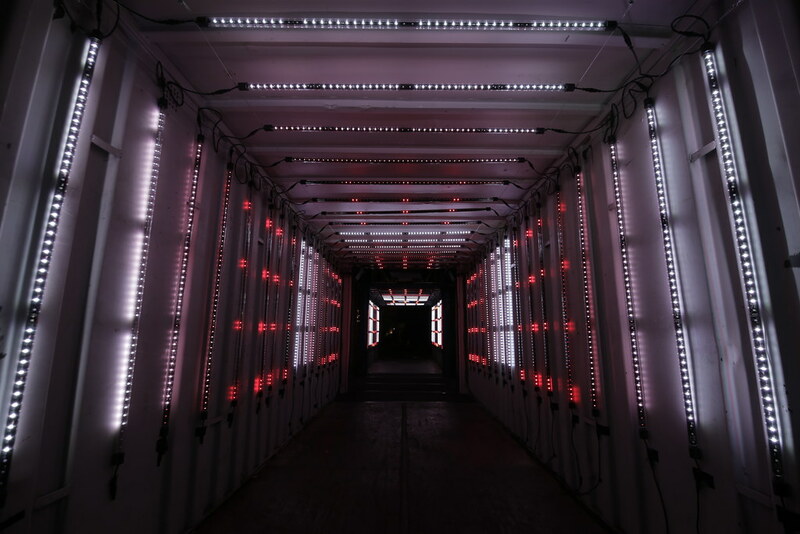 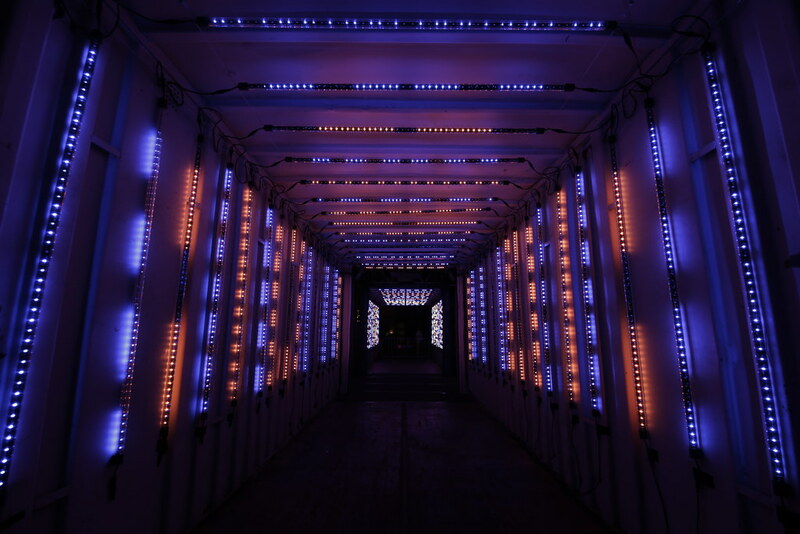 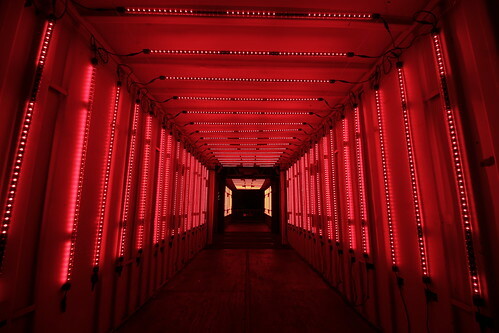 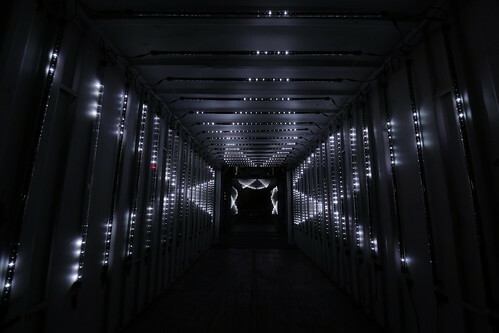 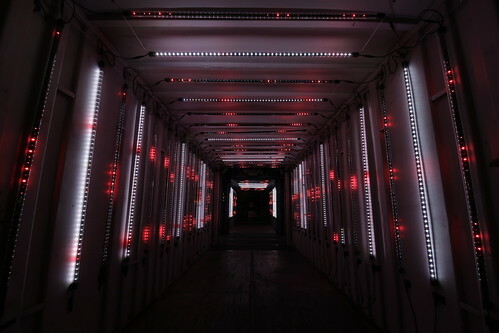 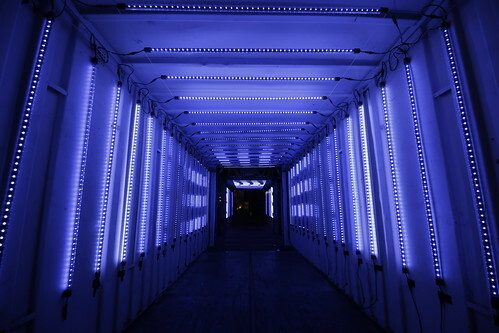 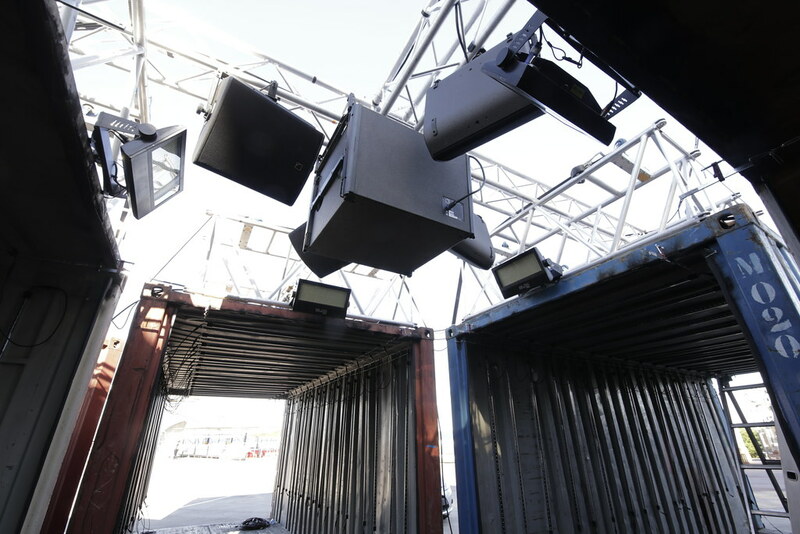 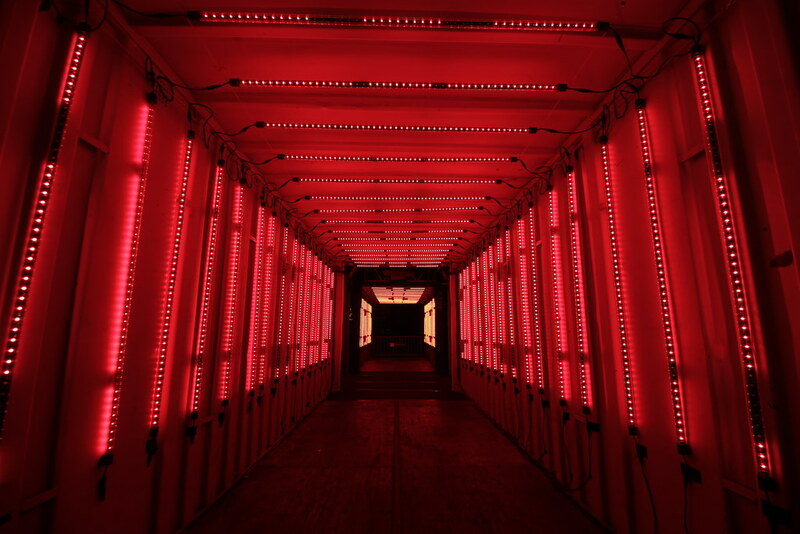 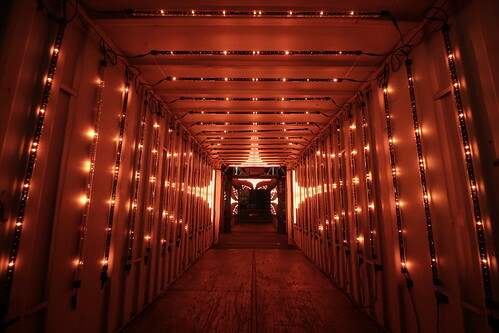 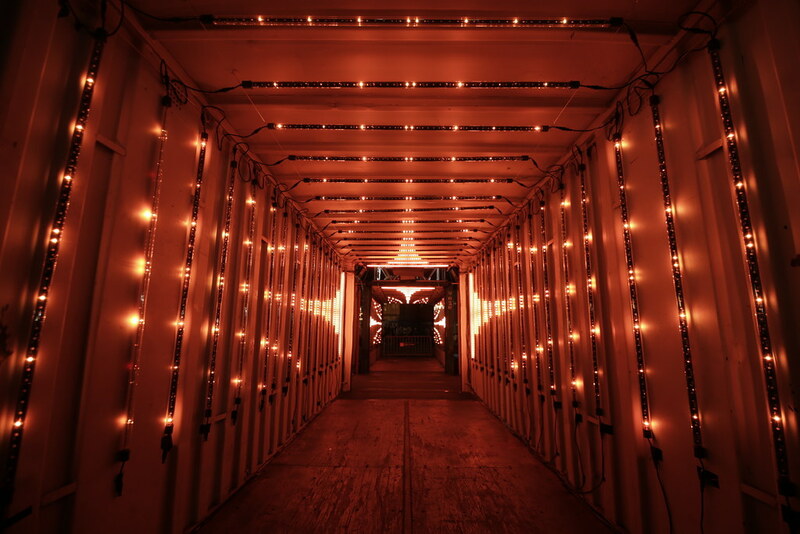 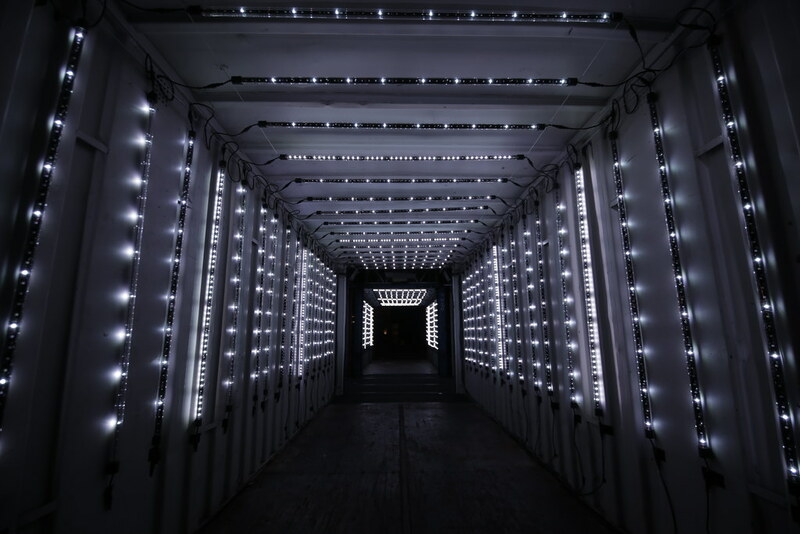 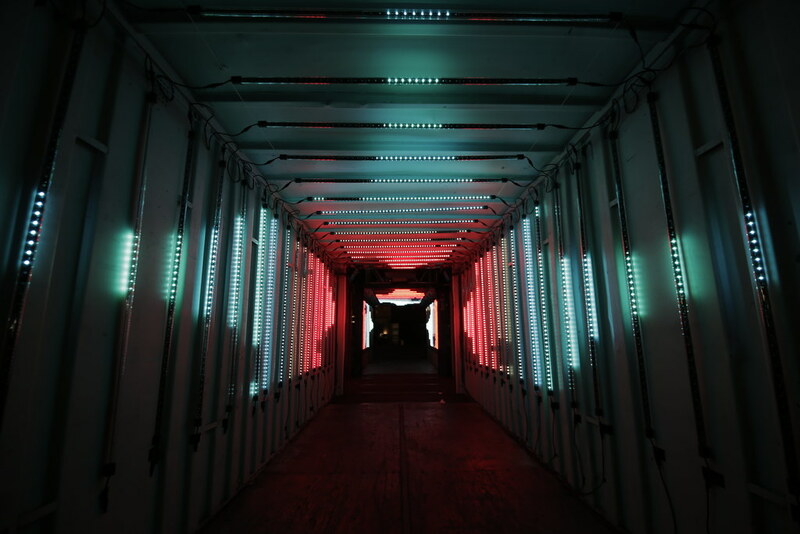 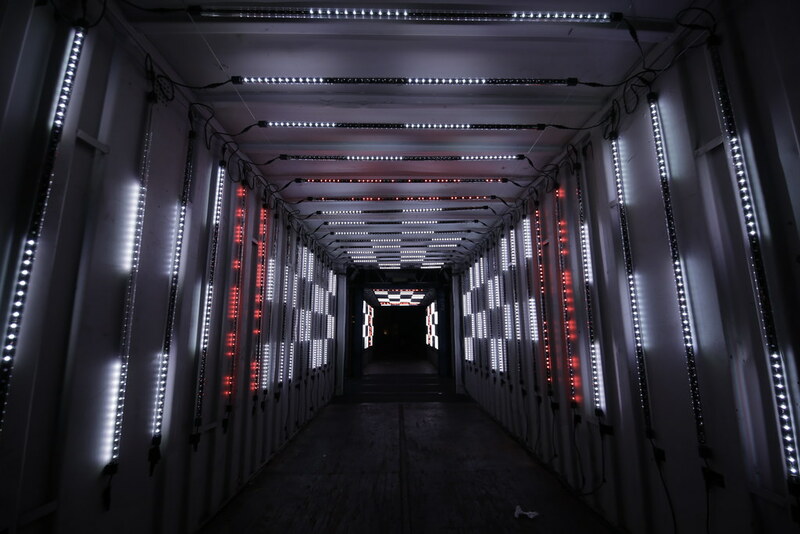 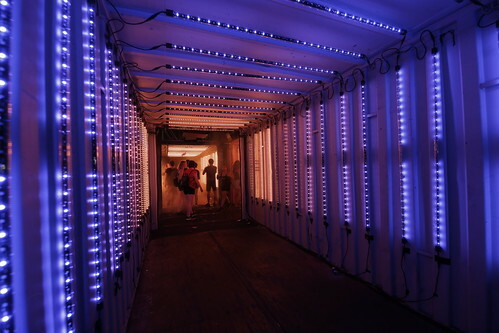 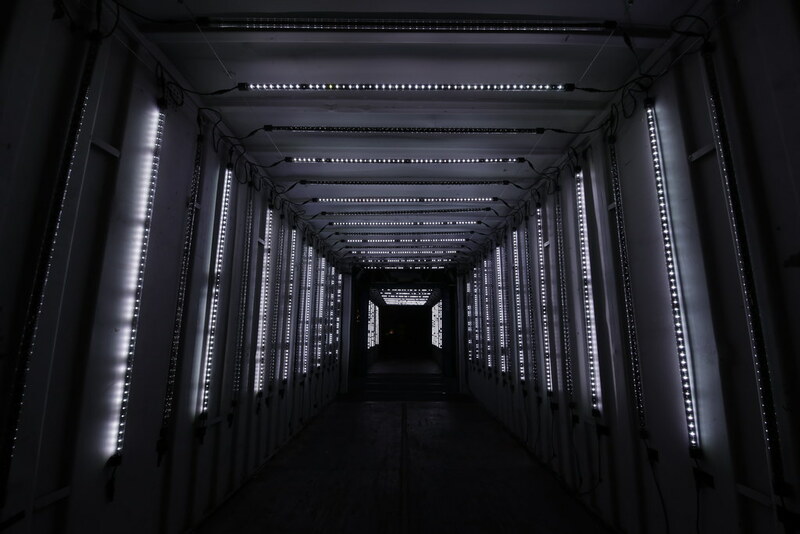 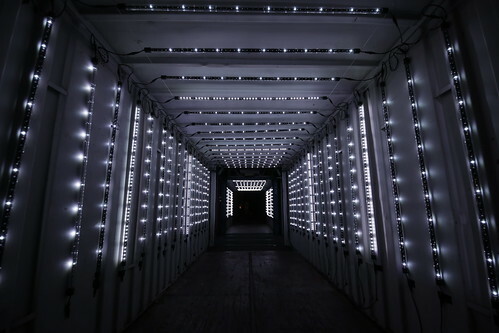 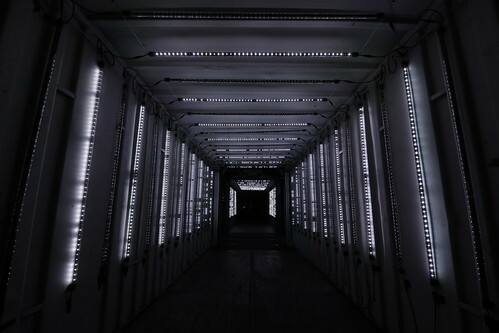 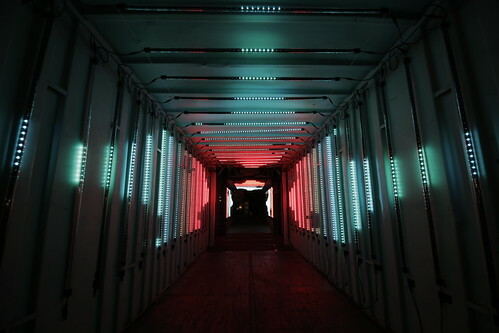 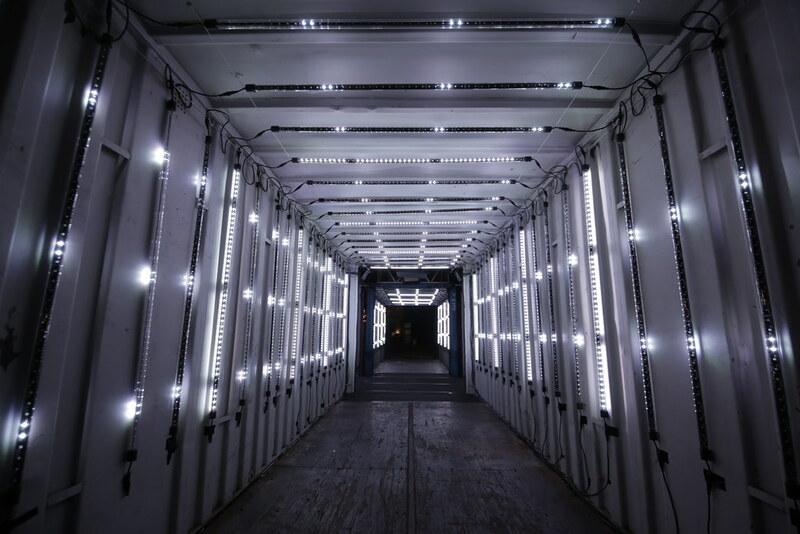 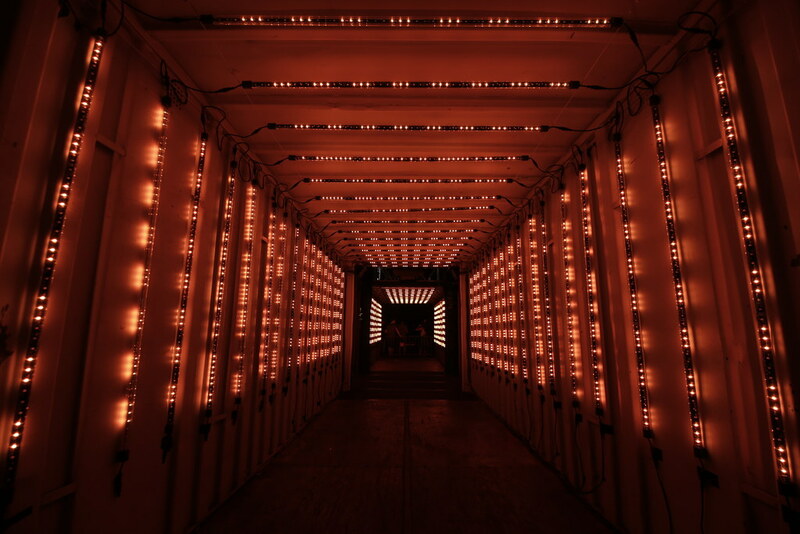 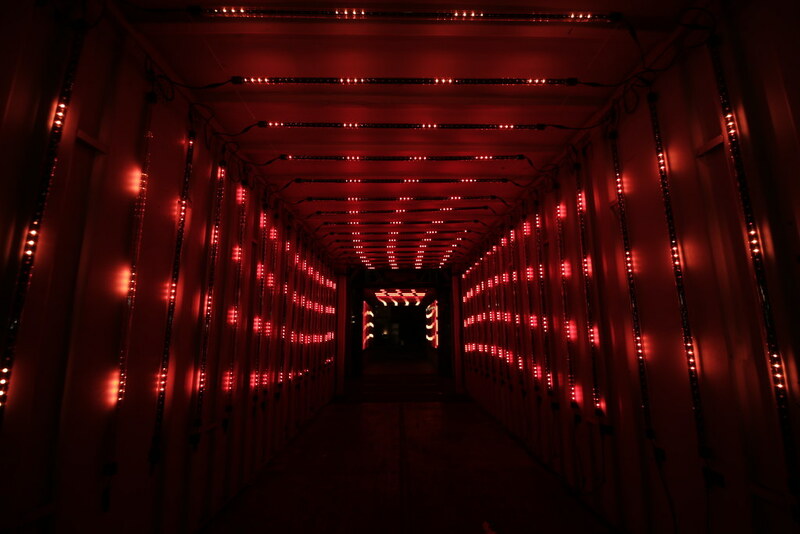 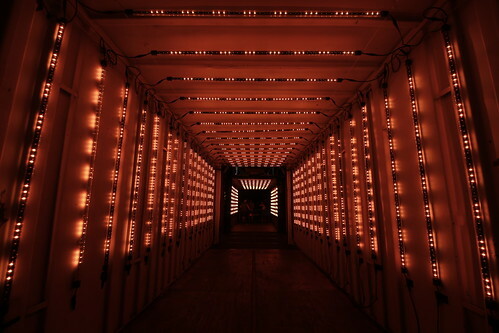 Using LED tubes installed inside 4 cargo containers, we create an abstract space, a maze of light which the audience can walk through, explore and enjoy. 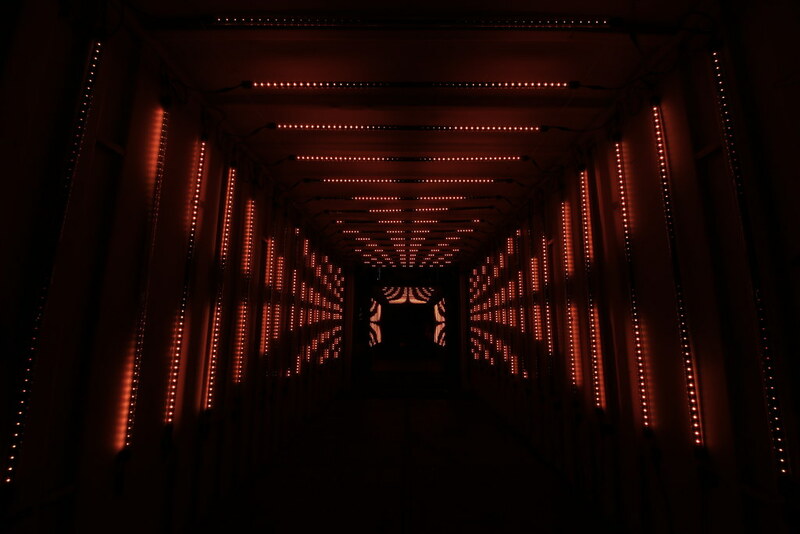 Audiovisual contents for the installation are generated realtime using generative self-made software tools. 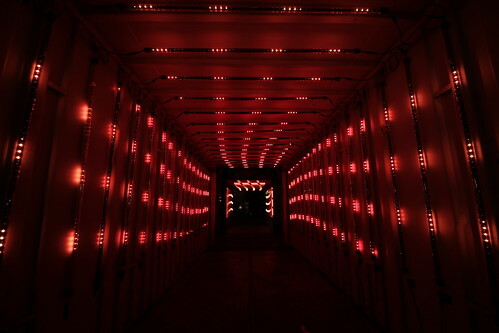 Both sound and light are generated live, therefore there are no exact repetitions of the same contents during the time the installation is working.